Lots of exciting news related to anticipated releases is featured in this longer-than-usual post. Eagle Rock Entertainment is proud to announce the issue on June 25, 2013 of Jethro Tull set Around The World Live. This Book + 4 Music DVD set comes in deluxe hardback packaging for Jethro Tull collectors and contains a wealth of previously unreleased material. The release features performances of classic tracks including: “Aqualung,” “Cross-eyed Mary,” “Living In The Past,” “Too Old To Rock’n’Roll, Too Young To Die,” “Orion,” “Minstrel In The Gallery,” “Heavy Horses,” “Thick As A Brick,” “Nothing Is Easy,” “Budapest,” “Life Is A Long Song,” and many more. The book contains photos from Ian Anderson’s personal archive and a text on all the different shows by Joel McIver. Around The World Live charts Jethro Tull’s ever evolving music through blues to rock to folk to electronica with a frequently changing line-up anchored by the ever present frontman Ian Anderson. Around The World Live charts the global success of one of rock’s favorite acts. Highlighting the band’s illustrious career and phenomenal concerts, this is treasure trove of Jethro Tull material. “We hadn’t seen the footage for years, but when we looked at it we couldn’t believe how good it was. We were on fire”. June 5, 1982. Queen take the stage at England’s Milton Keynes Bowl, as part of the Hot Space Tour. Magic ensues. On May 21, 2013, Eagle Rock Entertainment will re-issue Queen On Fire: Live at the Bowl on 2DVD and Digital Video. The rock world will bow down to Queen V on June 25 when Royal Noise Records releases The Decade Of Queen V.
"My new band is called Rusty Anderson Afternoon. Todd, my bass player, and I are sharing the vocals and song writing. 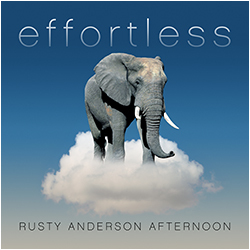 "Effortless," our first single, will be released worldwide on iTunes on April 30th. To hear a snake peek please visit: www.rustyanderson.com. I'll also be back out on the road soon with Paul and the band. See all the current dates here: www.rustyanderson.com (enter site and click 'affairs')"
LOS ANGELES, CA (Tuesday, April 30,2013) - 16x Latin Grammy & 3x Grammy-winning international superstar Alejandro Sanz was at the Grammy Museum at L.A. Live today to celebrate the worldwide success of his most recent album and first for Universal Music Latino,‘La Musica No Se Toca’. Jesus Lopez, Chairman & CEO Universal Music Latin America & Iberian Peninsula , presented Sanz with Platinum and Gold album awards for worldwide sales , and awards for the three singles which have been #1 in 18 countries. Councilmember Jan Perry from the 9th District, which includes L.A. Live, read the L.A. City Council proclamation declaring today Alejandro Sanz Day in the City of Los Angeles. In an emotional moment, Sanz presented the Grammy Museum with the guitar he played at the 2002 Grammy Awards during his performance with Destiny’s Child, the same guitar he was going to use at the first ever Latin Grammy in September 11, 2001. Sanz was also celebrating the kickoff of the U.S. leg of his critically acclaimed “La Música No Se Toca 2013” tour which starts tomorrow, May 1 at the LA Live’s Nokia Theatre. The tour continues to NY’s Radio City Music Hall (May 4), Washington DC (May 7) and Miami’s American Airlines Arena on May 9th. “La Musica No Se Toca” is the most successful Latin pop album of the last year. It has been certified quintuple-platinum in Spain, double-platinum in Colombia, platinum in Mexico and Argentina and Venezuela and gold in the United States and Puerto Rico, Brazil, Peru, Uruguay, Ecuador, Central America and Chile. The album debuted at #1 on the Top Latin Albums chart published by Billboard and continues to be the highest-selling Latin pop album in the United States and Puerto Rico, maintaining this position since its release last September. The first single from the album, “No Me Compares”, was #1 on the “Hot Latin Songs” chart and reached #1 in sales on iTunes in the US and 18 countries around the world. Alejandro Sanz is one of the most acclaimed artists in all of Latin music. Composer and author of all of his songs, Alejandro has sold over 23 million albums throughout his career and is the Spanish artist with most Grammys Awards. Alejandro has released 15 albums (11 studio albums), all certified Platinum in Spain, Latin America and United States and has collaborated with Shakira, Alicia Keys, The Corrs, René from Calle 13, Joaquín Sabina, Dani Martin, Ivete Sangalo and the legendary Tony Bennett. LOS ANGELES, CA - April 30, 2013 - On June 11, 2013, WaterTower Music will release two configurations of the Man Of Steel: Original Motion Picture Soundtrack. The album will be available in standard form as well as a limited edition deluxe version at all physical and digital retailers. Academy Award®, Grammy®, and Golden Globe® - winning composer Hans Zimmer composed the music for this highly anticipated project, joining forces for the first time with director Zack Snyder. "The challenges of creating a Superman score are daunting because Superman is so iconographic," said Snyder. "I really feel like what Hans created is perfect. Subtle and stirring, epic and commanding. Honestly, Hans crushed it." Fans will have the ability to choose between the standard two disc, 18-song soundtrack, and a limited, deluxe edition of the soundtrack. This deluxe edition will be housed in a special embossed steel case, contain 24 score selections, and give fans the ability to access multiple videos showing an exclusive, behind-the-scenes look at the creation of the music. Both the standard and deluxe editions will include the epic track "Man of Steel (Hans Original Sketchbook)" which clocks in at over 28 minutes long. This exclusive track is performed solely by Zimmer, and allows listeners to experience firsthand his initial experiments with the film's music, which ultimately lay the foundation for the film's final score. Those fans who purchase the CD version of the deluxe edition will have the opportunity to download all 24 songs in DTS Headphone: X, which reproduces a cinematic multi-speaker surround sound experience using only the user's headphones. DTS Headphone: X presents a whole new way to hear mobile entertainment over headphones. The technology garnered rave reviews from the likes of The Wall Street Journal, and Cnet, among others at this year's CES convention. Additionally, a double, 180 gram vinyl configuration of the soundtrack is slated for a summer release. In addition to his orchestral arrangements, Zimmer, no stranger to stepping outside the confines of traditional film scoring, has assembled two unique musical entities to contribute music to Man of Steel. The first, a "drum orchestra," which was brought together for the album, is described by soundtrack co-producer Peter Asher as "some of the best drummers in the world all playing simultaneously in a space designed for a symphony orchestra - using not only rock drum kits but tympani and field drums as well." The membership of this elite assembly consists of many of today's top musicians including John JR Robinson, Jason Bonham, Josh Freese, Pharrell Williams, Danny Carey, Satnam Ramgotra, Toss Panos, Jim Keltner, Curt Bisquera, Trevor Lawrence Jr., Matt Chamberlain, Ryeland Allison, Bernie Dresel, Vinnie Colaiuta and Sheila E. Their contribution, under Zimmer's musical direction, creates a towering and powerful musical accompaniment to the film. Another distinctive group the composer assembled was a gathering of eight of music's finest pedal steel guitarists who play classical string section parts. This collective, consisting of Chas Smith, Marty Rifkin, Skip Edwards, Boo Bernstein, Peter Frieberger, Rick Schmidt, JD Maness, John McClung, was described by Asher as, "a uniquely new metallic orchestra" added its own distinct and soaring musical stamp to the soundtrack. The Man Of Steel: Original Motion Picture Soundtrack is currently available for preorder at Amazon and will be available for preorder on iTunes starting May 7. Hans Zimmer has scored more than 100 films, which have, combined, grossed over 19.6 billion dollars at the worldwide box office. He has been honored with an Academy Award®, two Golden Globes®, three Grammys®, an American Music Award, and a Tony® Award. In 2003, ASCAP presented him with the prestigious Henry Mancini award for Lifetime Achievement for his impressive and influential body of work. He also received his Star on the Hollywood Walk of Fame in December 2010. Some of his most recent works include the History Channel's miniseries The Bible; the Christopher Nolan-directed films Inception, The Dark Knight and The Dark Knight Rises; and Guy Ritchie's Sherlock Holmes: A Game of Shadows. Upcoming titles include Ron Howard's Rush, Gore Verbinski's The Lone Ranger and Steve McQueen's Twelve Years a Slave. Zack Snyder directed Man of Steel from a screenplay by David S. Goyer from a story by Goyer & Nolan, based upon Superman characters created by Jerry Siegel & Joe Shuster and published by DC Entertainment. Charles Roven, Christopher Nolan, Emma Thomas and Deborah Snyder are the producers, with Thomas Tull, Lloyd Phillips and Jon Peters serving as executive producers. The film stars Henry Cavill, Amy Adams, Michael Shannon, Kevin Costner, Diane Lane, Laurence Fishburne, Antje Traue, Ayelet Zurer, Christopher Meloni and Russell Crowe. Warner Bros. Pictures presents, in association with Legendary Pictures, a Syncopy Production, a Zack Snyder Film, Man of Steel. The film will be released in 3D and 2D in select theaters and IMAX®, and is slated for release on June 14, 2013. It will be distributed worldwide by Warner Bros. Pictures, a Warner Bros. Entertainment Company. History of the Eagles Part One dedicates two hours to the chronicling of the band's creation and rise to fame in the 1970's through its breakup in 1980. More than 25 new and exclusive interviews were conducted with all current band members -- Glenn Frey, Don Henley, Joe Walsh and Timothy B. Schmit - as well as former members Bernie Leadon, Randy Meisner and Don Felder. Also featured are new and exclusive interviews with Jackson Browne, Linda Ronstadt, Kenny Rogers, Irving Azoff and many other seminal artists and band contemporaries who have been closely involved with the Eagles' history. While personal stories from band members, managers, and music industry luminaries frame the narrative, it's the unexpected moments-recording sessions, backstage interactions, and even a whimsical sequence from the Desperado cover shoot-that convey the extraordinary bond linking the artists, their music, and the times (an era when country-tinged rock and finely-honed harmonies spoke to a nation still reeling from unrest). History of the Eagles Part Two reveals the personal and professional struggles members faced while the band was apart, and chronicles the group's dramatic reunion in 1994, as well as its resurgence in recording and performing throughout the next two decades. Among the band's many achievements since reforming are its triumphant Hell Freezes Over tour, the 2007 release of Long Road Out of Eden (which sold more than 5.5 million copies worldwide and earned two GRAMMY® Awards), and its ongoing ascendance as an international supergroup. Eagles Live at the Capital Centre - March 1977 features previously unreleased concert performances of "Hotel California," "New Kid In Town," "Take It To The Limit," "One Of These Nights," "Lyin' Eyes," "Rocky Mountain Way," "Best Of My Love" and "Take It Easy," all captured during the band's two-night stand in Washington, D.C. during its historic Hotel California world tour. The Eagles have sold more than 120 million albums worldwide, earned five No. 1 U.S. singles and six GRAMMY® Awards. Their Greatest Hits 1971-1975 is the best-selling album of all time, exceeding sales of 29 million units. The band's Hotel California and Eagles Greatest Hits, Vol. 2 have sold more than 16 million and 11 million albums, respectively. The Eagles were inducted into the Rock & Roll Hall of Fame in 1998. For more information, visit the band's website atwww.eaglesband.com. 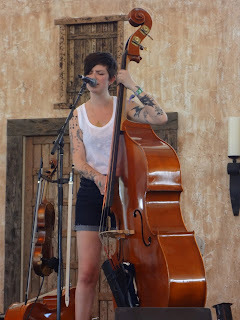 Stagecoach 2013 roundup: The Steel Wheels, Roger McGuinn, Dwight Yoakam, Lone Bellow and more! Here is a compilation of all my Stagecoach-related posts that originally ran on The Orange County Register's Soundcheck blog. Enjoy everybody! Even early performers are generally worth catching at Stagecoach, and Friday (April 26, 2013) boasted strong opening sets from Brett Shady and Robert Ellis. But following their performances on the same Palomino Stage, Commander Cody was a clear disappointment. Despite his surrounding quartet's energetic mix of Western swing, early rock 'n' roll and boogie woogie, the Commander's loose arrangements never gelled. Virtually every performance out here manages to have some merit; this one's came courtesy of ace lead guitarist Mark Emerick, who offered up some blistering fretwork on the classic rocker "Hot Rod Lincoln" (a hit for Cody in '72) and Western swing oldie "Smoke! Smoke! Smoke! (That Cigarette)." But ultimately I can recall few Stagecoach performances that were as much of a dud as this one. The Steel Wheels, however, performing on the Mustang Stage, had no problem lifting the spirits of concertgoers contending with scorching temperatures outside the tent. Spawned in the Blue Ridge Mountains of West Virginia, the four-man outfit played tender ballads, astonishing instrumentals, vocals-only gems and ambitious pieces that effortlessly combined lyrical verses, harmonized choruses and virtuoso solos. The group launched its fast-moving hour-long set with an a cappella "Rain in the Valley," the quartet's voices blended into a single microphone. Definitely the sort of sight that grabs attention and cheers out here. From there, their set only grew more impressive. Singer/guitarist/banjoist Trent Wagler was often the focal point with his emotive singing, but Jay Lapp (mandolin, guitar), Erick Brubaker (fiddle) and Brian Dickel (bass) all had multiple moments to shine. The group recently released its latest album, No More Rain, and offered up one of the highlights off that disc via a reworking of Tom Waits' "Walk Away." The midtempo song, anchored by gentle layers of guitar, banjo and fiddle, struck a superb blues-meets-country vibe. Another standout from that album: their own "Go Up to That Mountain," featuring a breathtaking fiddle solo from Brubaker. The great thing about Roger McGuinn's frequent name-dropping Friday afternoon (April 26, 2013) at Stagecoach was that it usually involved fascinating stories about some of rock's pioneers, then led to performances of some of the greatest songs of the '60s. To dub his set a solo acoustic outing only describes half of his hour-long performance. From the moment he walked on stage, armed with his 12-string Rickenbacker electric guitar for a spirited "My Back Pages," it's clear the (sadly) less-than-capacity crowd in the Palomino tent was in for something special. Just about every classic was offered up with true tales, from how early folk hero Lead Belly's virtuoso use of the 12-string guitar was the first in a series of events that led McGuinn to play the instrument (he paid tribute with "Rock Island Line") to his longtime interest in technology and the cosmos (evoked by a rousing "Mr. Spaceman"). The most interesting segment focused on material from country-rock's greatest-ever album, the Byrds' 1968 groundbreaker Sweetheart of the Rodeo. To hear 70-year-old McGuinn's recollections of the genesis of several recordings (influential covers of Woody Guthrie's "Pretty Boy Floyd" and Bob Dylan's "You Ain't Goin' Nowhere") was equal to their performances here, delivered with still-formidable voice and distinctive guitar play. It's rare to get many inside stories about the legendary Gram Parsons, but McGuinn noted that after a famed Nashville DJ wouldn't play their version of "You Ain't Goin' Nowhere," he teamed with Parsons to write the song "Drug Store Truck Drivin' Man." No artist has interpreted Dylan's material quite as gracefully as McGuinn, who left the tent hushed with a rendition of "Chimes of Freedom," his emotive tenor in a sonic dance with the ringing tones of his Rickenbacker. The song turns 50 next year, but in this master's care it was as striking and relevant as a new Springsteen cut. McGuinn closed out his set by visiting a string of best-known Byrds hits: "Mr. Tambourine Man" (their first, another Dylan gem), "Eight Miles High," "So You Want to be a Rock 'n' Roll Star," "I'll Feel a Whole Lot Better" and "Turn! Turn! Turn! (To Everything There Is a Season)." That last one was particularly powerful, McGuinn's voice soaring into a falsetto finely tuned to the shimmer on his guitar. Old Crow Medicine Show was already underway when I arrived at the Mustang Stage after McGuinn's set. The crowd was in a festive mood, many dancing, drinking and positioned on the large bails of hay stacked up throughout the tent. The old-timey bluegrass-folk septet provided perfect party backdrop, their big harmonies and roaring solos (on fiddle, banjo and more) fueling the celebration. Fans sang along on many tunes, including the upbeat "Levi" and the hit "Wagon Wheel." Among the more potent moments was an effortless segue from the troupe's own song "Big Time in the Jungle" into Guthrie's "This Land Is Your Land," which had virtually everyone in the tent joining in. Old Crow finished off its winning set with a rocking version of Tom Petty's "American Girl." Dwight Yoakam noted early in his set that he'd spent most of the past week at home fighting some kind of virus. Despite his voice being noticeably hoarse from the start – he opened with the high-octane "Take Hold of My Hand" off last year's excellent 3 Pears – the veteran traditionalist soldiered on through a 70-minute set of original material interspersed with artful reworkings of classics, including standard Yoakam fare like "Streets of Bakersfield" (signature song of friend and mentor Buck Owens) and a heartfelt dedication to the late George Jones with an emotive performance of "Life to Go." Vocal challenges aside, the crowd's rowdy energy made the set a fun one. Early set highlights came via "Please, Please Baby" and a rousing cover of Pomus & Shuman's Elvis Presley gem "Little Sister." The standouts of the set, however, were an even more charged version of "Blame the Vain," mining heartbreak with melancholy, and a rollicking "Guitars, Cadillacs." By the time Yoakam got to his encore, he was able to blast through "Dim Lights, Thick Smoke" with vigor, the excited audience singing along to its big choruses. The Lone Bellow are newcomers on the roots music scene, having just released their self-titled debut in January. But based on the potent show the trio delivered Saturday in the Palomino tent, the group easily could follow in the footsteps of breakout Americana acts such as the Lumineers, the Civil Wars and Mumford & Sons. Opening with "Green Eyes and a Heart of Gold," the Brooklyn band's sound, bolstered by a touring bassist and drummer, was even more dramatic and focused than on its recommended album. Zach Williams' personable stage presence and chemistry with singer and mandolin player Kanene Pipkin and lead guitarist and co-vocalist Brian Elmquist was icing on the cake for a slew of fantastic songs. The beautiful "Two Sides of Lonely" and an extraordinary reworking of John Prine's "Angel from Montgomery" (the verses divided among all three members, with luxuriant harmonies throughout) showcased one side of the LB's approach, while the more bold "Bleeding Out" and "The One You Should've Let Go" demonstrated how deftly they fuse rock into their brew. A rare encore allowed the group to close with the ornately textured "Tree to Grow." "Thanks for listening to our songs," Williams told the cheering audience after that explosive performance of "Bleeding Out." "This is a memorable thing for us." Making his triumphant return to the same venue where he launched his solo, country-geared career back in 2010, Tiger Army frontman Nick 13 attracted a big crowd to the Palomino tent for his late afternoon set. Performing most of his 2011 self-titled debut, he and his finely-tuned four man outfit celebrated California country and honky-tonk with the haunting "Carry My Body Down," "Restless Moon" (where his tenor recalled Raul Malo's rich tone) and the romping rockabilly update of "Cupid's Victim." The set's final minutes got a bit more raucous, as the singer-guitarist and his group tore through the Tiger Army mainstay "Outlaw Heart" and another speedy one, "Gambler's Life." The Honkytonk Angels Band likely had the best of intentions with its early afternoon set inside Palomino on Saturday, especially since this gig marked the outfit's 25th anniversary. Opening with its original Southern-fried country-rocker "Six Gun High," the Inland Empire quintet performed with confidence and blasted out a big sound. As the group's 35-minute set progressed, however, it was immediately clear that the HAB's approach, pitched somewhere between Some Girls-era Rolling Stones and Lynyrd Skynyrd in "Gimme Three Steps" territory, was a one-trick pony. But there's no denying many Stagecoachers loved the stuff, with a group of heat-be-damned line dancers kicking it up while the Angels played "Lil' Miss Nasty" and "Win, Lose or Draw." Fortunately, Colorado's Sons and Brothers had a lot more to offer discerning music fans. The sextet – three brothers, their uncle and two family friends – masterfully mashed up bluegrass, folk, gospel and traditional country for a full hour in the Mustang tent. The set began with the three Wolking brothers (lead singer and bassist Aaron, mandolin ace Joe and guitarist and banjoist Mike) all mixing in glorious harmony. As other members joined in, it was instantly clear this was something special. The pretty "Broken White Line," early in the set, defied those who claim bluegrass music all sounds alike, with Mike and Aaron blending vocally as only brothers can while Joe added sterling mandolin textures. On the fiery "Texas Eagle," Denver fiddler Johnny Neill and electric guitarist Fred Wolking (deftly applying his slide) added some dynamic color that garnered big cheers. The highlight, however, was the ensemble's cover of John Denver's "Wild Montana Skies," a dedication to the brothers' late father. Mike launched the song with his voice accompanied by gentle acoustic guitar, then the other voices joined in as the crowd spontaneously clapped in rhythm. Closing out the set was "Buckaroo Man," yet another workout for these talented musicians, one of bluegrass music's most original and talented groups. An important note too: although I didn't get to cover Lady Antebellum's set on the Mane Stage, I did get to see the trio's full performance on Saturday night. The group put on a spirited set showcasing perfect harmonies and commercial hits that really connected with the audience. Check out writer George A. Paul's full review of Lady Antebellum's concert set here on his Music Minded blog. Stagecoach 2013 may best be remembered because its arrival came on the day the world learned of the passing of the legendary country music icon George Jones. But as the three-day country music festival proceeded to its finish line Sunday (April 28, 2013), it seemed as if a wide range of artists across the fest's three stages were determined to ensure their music-making would be part of the event's legacy. Brown Bird opened up on the Mustang stage, performing an innovative blend of country, folk, blues, jazz and other Americana styles. The duo, featuring singer/guitarist/foot percussionist David Lamb and cello/upright bassist MorganEve Swain, featured songs off the newly released Fits of Reason and earlier albums Salt for Salt and Devil Dancing. The song "Nothing Left" was about as edgy as things got at Stagecoach this year, with Lamb dramatically hitting his guitar for rhythmic effect during a piece that treaded a dark sonic path, challenging the audience. "Down to the River" took another course, the early part of the song featuring a jazzy Django Reinhardt-esque foray before the two players segued into a blues section. Singer-songwriter Becky Stark, known to indie rock fans as leader of L.A. band Lavender Diamond, was one of the day's more unusual bookings. Sitting alone on a stool on the Palomino stage, she presented single-chord patters and sang straightforward songs of love and nature. The audience warmly received the neo-folk songstress' 30-minute set, her high, thin soprano put to good use on originals like "The Garden Rose" and "Ocean and Ground." Much better was dynamic singer-songwriter-guitarist Gabriel Kelley, who turned in one of the finest performances of the weekend. Playing acoustic guitar and sprinkling harmonica blasts with the grace and confidence of Harvest-era Neil Young, Kelley's mighty baritone allowed him to create a full sound all alone. Highlights included many of the gems from his new self-released disc It Don't Come Easy, including a title track that blended folk, blues and country with a richness that thrilled a good-sized crowd gathered under the shade of the Palomino tent. He also tried out a new song, "Make It Easy on Me," during which his exceptional guitar work mirrored the lead guitar and rhythm on his acoustic six-string and showed his ability to explore deeper love without resorting to cliche. A very promising talent who deserves to be more widely discovered. As the day progressed, higher-profile acts started turning up in Palomino and Mustang. Legendary quartet Riders in the Sky returned for another helping of its authentic American West cowboy music. The audience delighted in the quartet's comedic delivery, especially a section in which upright bassist Too Slim clapped his cheeks with the power and precision of a skilled conga player. "Saddle Up" showcased their spot-on harmonies, and "The Land Beyond the Sun" dispensed with flashy solos in favor of mining emotional richness. Coachella attracts plenty of Hollywood celebrities; Stagecoach puts 'em on stage. Friday brought Jeff Bridges in a star turn, whereas actors John Reilly and Katey Sagal were featured in back-to-back sets to close out Sunday's lineup on the Mustang stage. Neither performance was especially memorable, but the good news is that both offered entertaining sets that pleased the crowd. Reilly and a number of his friends played an hour or so of traditional country music highlighted by the bluegrass standard "Gonna Lay Down My Old Guitar" (also featuring singer-guitarist Tom Brosseau) and a great version of George Jones' "Color of the Blues" supported by a large ensemble of musicians. Sagal's Forest Rangers eventually featured their star: She came in for the fifth selection, yet another cover here of Tom Petty's "Free Falling," and the focus shifted to reworked tunes they recorded for a Sons of Anarchy soundtrack. Sagal had a better-than-average voice and the crowd liked her uptempo remakes, but the highlight was a bluesy take on Leonard Cohen's "Bird on a Wire," ideally suited to her tone.